﻿﻿Meta-Creator 2018 is the platform for (live) loggers, story-editors and chief editors to control video, sound and text into today's broadcast production-workflow. 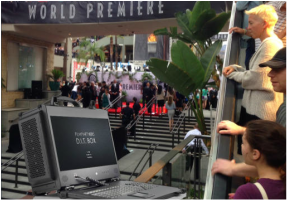 MXFserver is a software only total solution for film, broadcast and post-production. It gives editors the freedom to open projects in different editing systems simultaneously, from Avid and non-Avid high end storage systems.